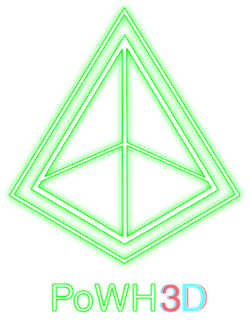 Welcome to the POWH3D Wiki! The goal of this wiki is to serve as a community resource for all things P3D! To get started quickly, check out our Beginner's Guide to POWH3D! Running into issues? Check out our helpful troubleshooting guide to get things sorted out or jump into the official PoWH3D discord chat and use the #helpdesk if you have any questions! Have feedback for Team Just? Please let us know with this form if you have a bug report, site feedback or an app idea! Why would I want to participate in this? How do I buy P3D tokens? What makes this exchange different? Is this a scam or fraud? What are the risks of participating? Why do I have less money in my account holdings than I expect? What is the masternode and how do I use it? Help me, I am having issues with metamask! What do I do if the main exchange is down? Can anyone shut this exchange down? Do the owners of the site have access to all my funds? How is the value of P3D tokens determined? How do I interact with the contract directly from metamask? You can check the Quick References page for a longer list of direct links to answers! Find this wiki helpful? I would definitely appreciate if you buy tokens in the future using my masternode. Reach out to me anytime on Discord @Cryptoknight. PoWH3D is a unique cryptocurrency exchange which allows you to trade Ethereum for P3D tokens. P3D tokens are tokens with a clever twist: Every P3D holder receives direct earnings in Ethereum every time that anyone else buys, sells or trades the token based on the amounts of tokens (in % out of total amount minted) held. This means that as soon as you hold P3D tokens, you are continuously accumulating "free" Ethereum distributed to you on every transaction based on the amount of P3D tokens you hold on the exchange! This exchange and token is made better by the fact that the entire system is powered by an open-source Ethereum smart contract ensuring transparency, security and trust. Check out these alternative enhanced exchange front-ends for the contract. Use at your own risk, the only official exchange is there. Tip the creators, buy with their masternodes! Buying with someone's masternode is POWH3D way of tipping them for their help. Learn more about masternodes here. Find this wiki helpful? I would definitely appreciate if you buy tokens in the future using my masternode as well. Reach out to me anytime on Discord @Cryptoknight. Have feedback or want to reach out? Ping @Cryptoknight on the Team Just Discord or email me at cryptoknighte@protonmail.com. You can also reach out to the core developer shared account at teamjust@protonmail.com.